The fate of any change effort depends on whether and how leaders engage their culture. Culture is implicit rather than explicit, emotional rather than rational – that’s what makes it so hard to work with, but that’s also what makes it so powerful. Traits – characteristics that are at the heart of people’s emotional connection to what they do. Keystone Behaviors – actions that would lead your company to succeed if they were replicated at a greater scale. Authentic Informal Leaders – people who have a high degree of “emotional intuition” or social connectedness. By leveraging these critical few elements, you can tap into a source of catalytic change within your organization. People will make an emotional, not just a rational, commitment to new initiatives. You will elicit enthusiasm and creativity and build the kind of powerful company that people recognize for its innate value and effectiveness. Let The Critical Few show you how. 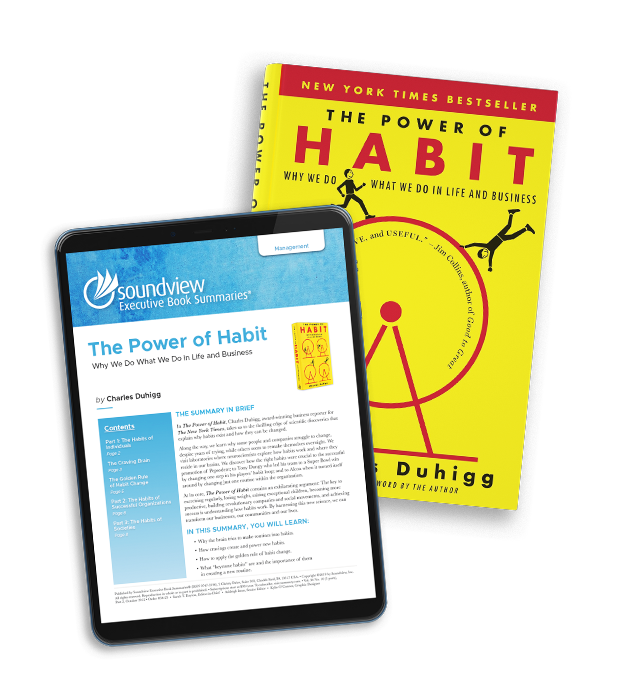 Soundview subscribers get in-depth summaries of the key concepts in best-selling business books (like this one) delivered to them every week! Take your career to new heights by staying up-to-date with the trends and ideas affecting business leaders around the globe. Download a free sample now.